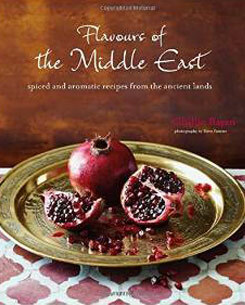 Aromatic, fragrant and spicy, the flavours of the middle east are steeped in a fascinating history of ancient empires and dynasties, wars and diverse religions, and the east-west trade routes, all of which have had a lasting influence on the culinary cultures of this vast and turbulent region. This exciting new book chronicles the essential dishes that you would encounter should you travel these ancient lands – they are the recipes that have truly stood the test of time. Mezze, Salads and Soups start the feast; enjoy Hot Hummus with Samna and Pine Nuts or Broad Beans with Eggs and Dukkah. Meat and Poultry Main Courses include Roasted Meat-stuffed Onions with Honey and Tamarind, while Poached Fish with Saffron Rice is an option for a Fish and Shellfish Main Course. Vegetables and Preserves include Turmeric Potatoes with Chillies, Lime, and Coriander, while Sweet Dishes, Conserves, and Drinks features Quinces Poached in Clove Syrup. With feature spreads profiling the essential ingredients and more than 60 authentic recipes, Flavours of the Middle East makes it easy to prepare an exciting aromatic feast at home.